EDIT 1/13/13: I now I have a full Lattice Pattern available. The pattern includes four different quilt patterns using this block. Measurements are also provided to make the block in four different sizes. The pdf pattern is available on Craftsy and Etsy! Both sites provide the pattern as an automatic download. This pattern is no longer for sale. 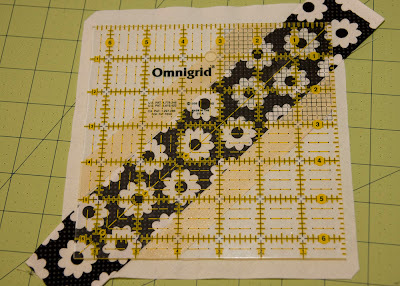 I love the lattice design on a quilt, but really didn't want to paper piece such a simple block. 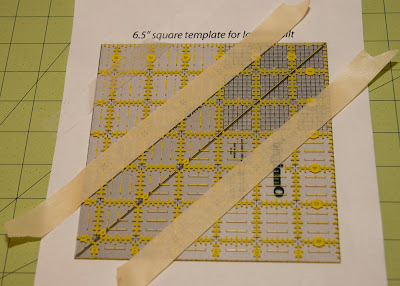 I considered my options for the best way to construct this quilt without paper piecing but still having perfect corners where the "X" meets, and I came up with this. The trick is square up the corners of the block just right. This tutorial is for a 6.5" unfinished block. Download Ruler Template from GoogleDocs. 1. Cut your solid fabric into 6" squares. Then slice along the diagonal to make two right triangles. 2. 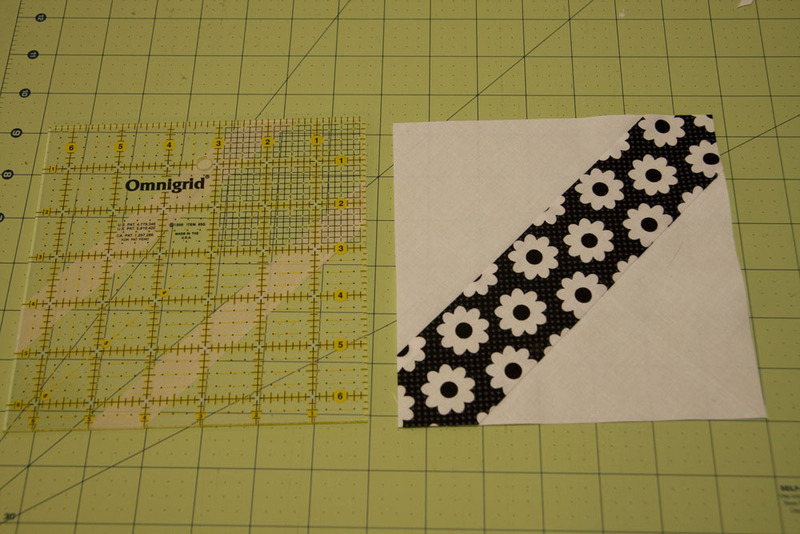 Cut lattice fabric 2.5" x 10". Each 6.5" block requires two triangles and one lattice strip. 3. 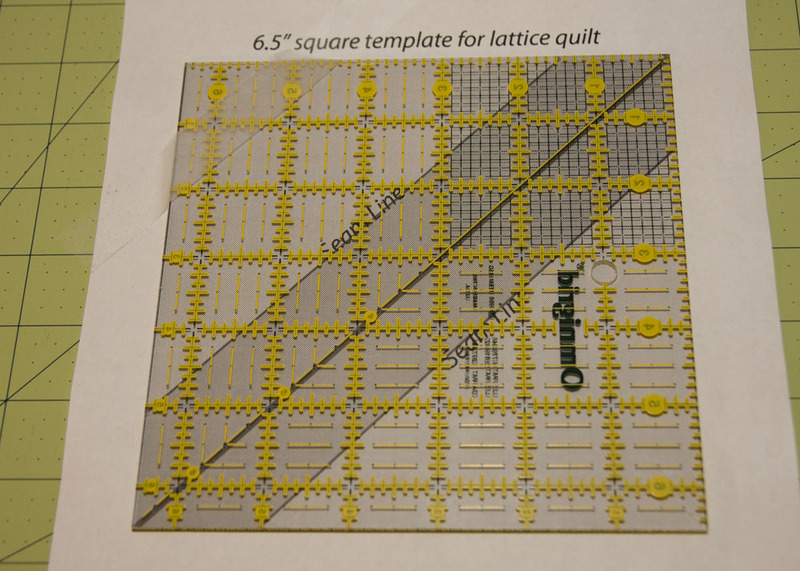 Sew solid triangles to lattice piece. 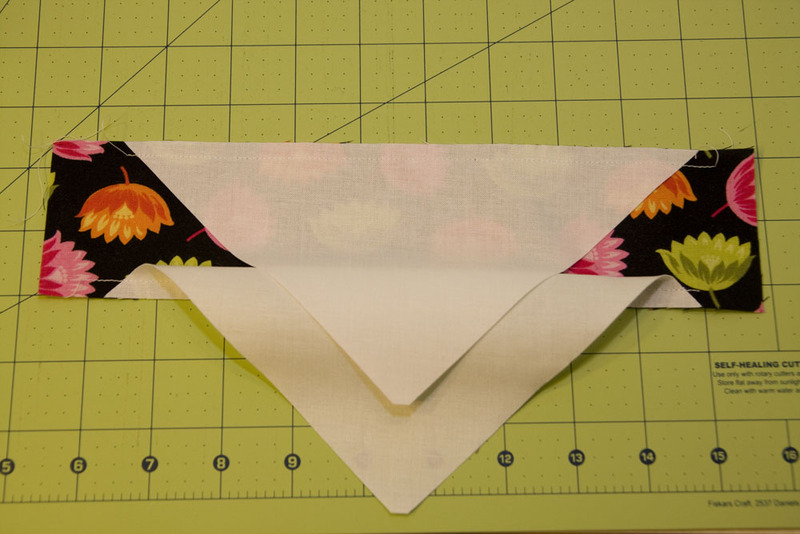 First attach the bottom triangle and then the top centering them with the lattice piece. Just eyeball it when centering the triangles with the lattice piece and each other. It saves time to chain piece the blocks. 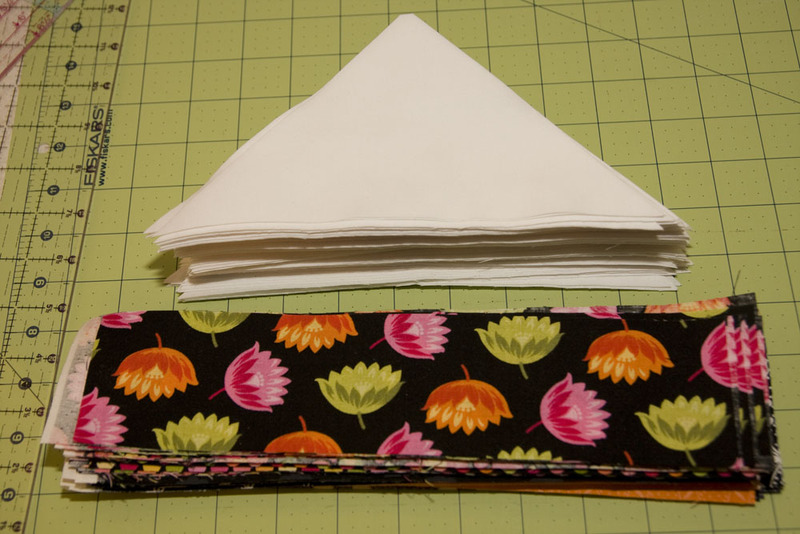 First, sew one triangle on each of the lattice strips, then flip over and add the second triangle. It makes for very quick piecing. After piecing, press all blocks, seams toward the lattice strip. 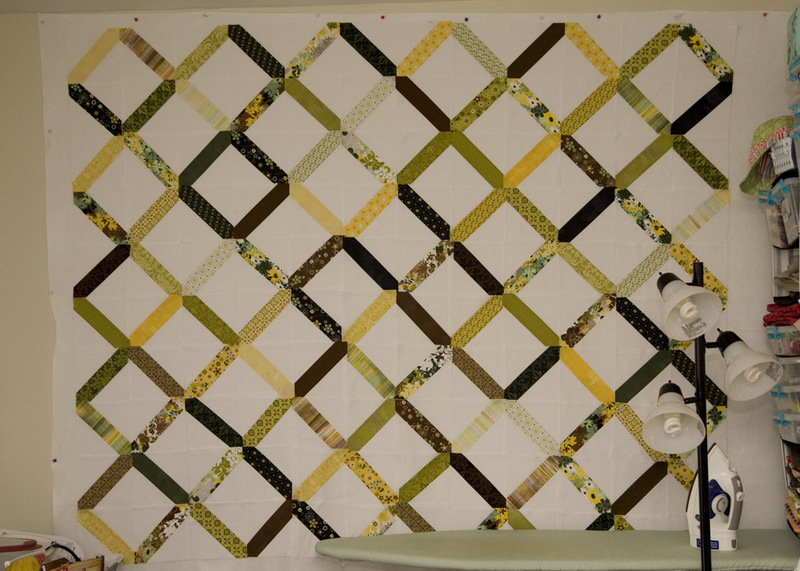 The biggest challenge I ran into when making these blocks without paper piecing was lining everything up. This is also the most critical part to making the quilt look good. I modified my 6.5" square ruler for this step. It's helpful to have a ruler this size or slightly larger for the trimming step. 4. 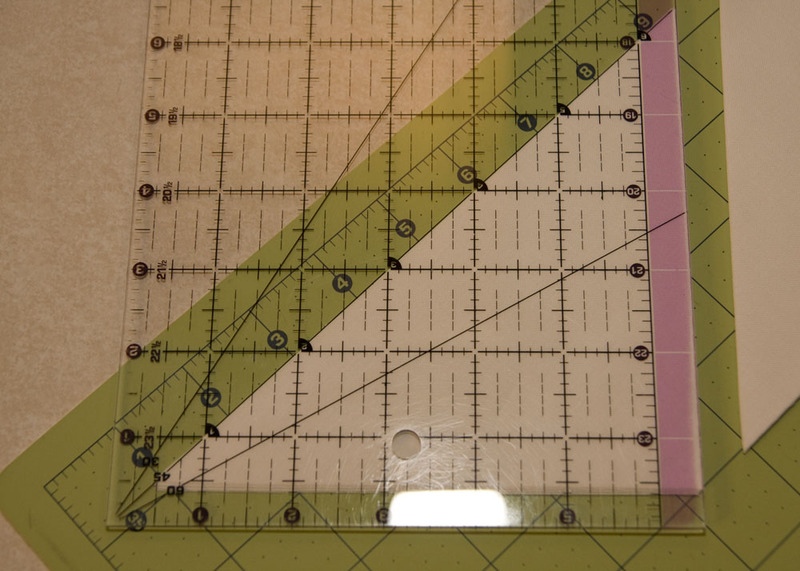 Line your ruler up with the 6.5" template with the bottom of the ruler facing up. Tape to the paper to hold it in place. 6. 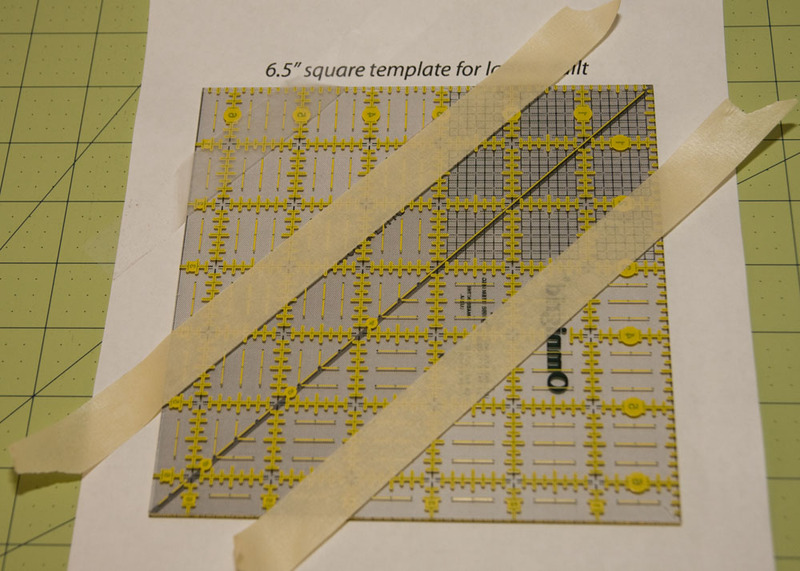 Center your lattice strip between the taped lines. Carefully trim all sides. Notice there will be about 1/4" to 1/2" on each side to be trimmed. This extra wiggle-room makes the piecing process much quicker because exactness isn't required. Done! Trim all blocks; then arrange as desired and sew together. Sew blocks together in rows and then sew each row together. Pin at each seam to ensure everything meets up correctly. 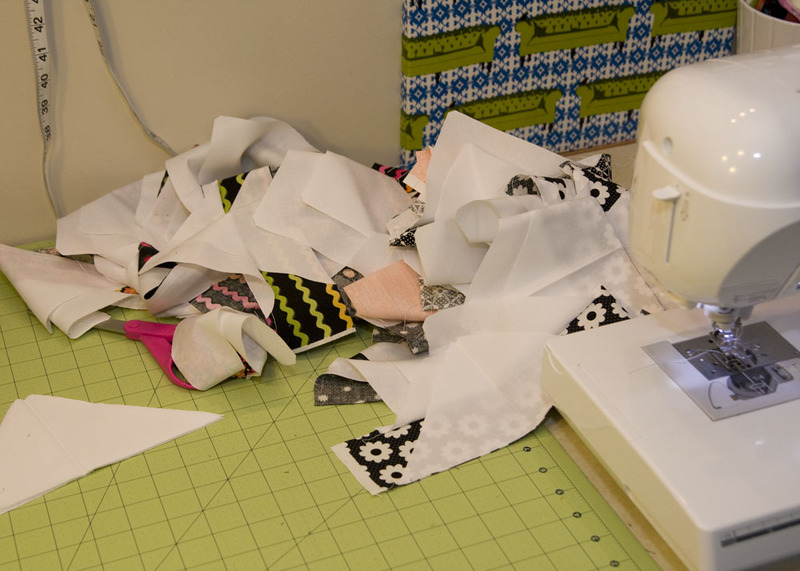 I prefer to press seams open when sewing the finished blocks together. When deciding on the final design, remember to have an even number of blocks for the height and width. This allows your design to remain consistent. You can lay out your quilt out as shown here or start with the "x" in the corners as on Film in the Fridge. Awesome tute!! Thanks for the great math at the end, too. Happy new year! Its a beautiful quilt. Thanks for the tutorial! thanks for the tutorial! Your directions were so clear and easy to follow...this quilt is definitly going on my to make list! Nice! I love the way you did it without paper piecing. I love paper piecing, but it's always seemed a little overkill for this kind of design. Your quilt is beautiful. Thanks for the tutorial. Think I will have to give this one a try. Awesome tutorial! The quilt is beautiful too! Thanks for the tutorial. I love the quilt. Thanks for this, Kati! I do love your lattice quilt. How wide do I cut the triangles? Am I missing something? Thanks. Great tut and pattern. I am thinking floral fabric with lt brown basket weave print as lattice. Thank you for taking time on this. The size tips are great, but quantity of each fabric to buy would be wonderful also. Just a thought!! I just completed sewing all my quilt blocks and am now ready for the trimming part. Wish me luck; it's my very first quilt. Stopped for now waiting for a 6 1/2 template to come in the mail. Hi! Greetings from Finland! I love your blog! I am a quilter/crafter and I would like to invite you to visit my quilt blog! I know what I'm going to start this weekend!! Totally different from anything I've done and I'm ready!!! Thanks for the awesome directions! YESSSS!!! 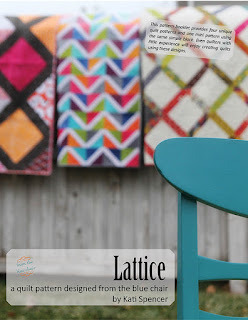 this was exactly what I have been looking for for monhs and months- I came across your wonderful projcts via film in the fridge and flickr and was so excited to find your lattice quilts. I am so grateful you made such a super tutorial! thank you so much!! Thank you so much, I can't believe how uncomplicated the pattern actually seems to be! Your colour choices are lovely. 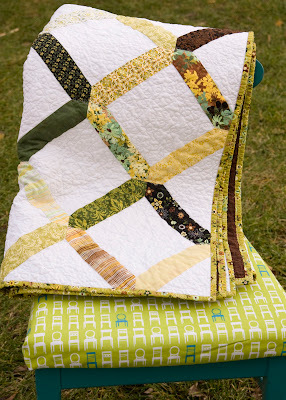 I came across this pattern today as I was searching for some simple quilt block and I just love it. I am going to do a baby quilt using this and maybe another one using solid for the lattice and print for the triangles. Thank you so much for sharing this. I love this pattern - Thank you so much for sharing. I think I'll make a baby quilt with it and maybe something bigger too. Thank you so much for this tutorial! 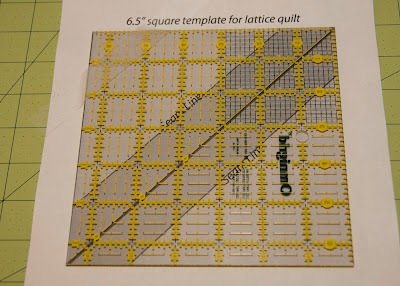 I want to make a lattice quilt, but knowing me ... it would not look good and the points would not match. I thought I had to paper piece this, but your technique looks just great, and less work than paper piecing!